Designed and manufactured here in Great Britain, with 70 years experience built on a reputation of excellence. Crown kitchens come in a wide range of styles, each one flexible to suit you and your kitchen. Crown offers a staggering 40 different door styles, available in both high-gloss and matte with an endless colour choice. 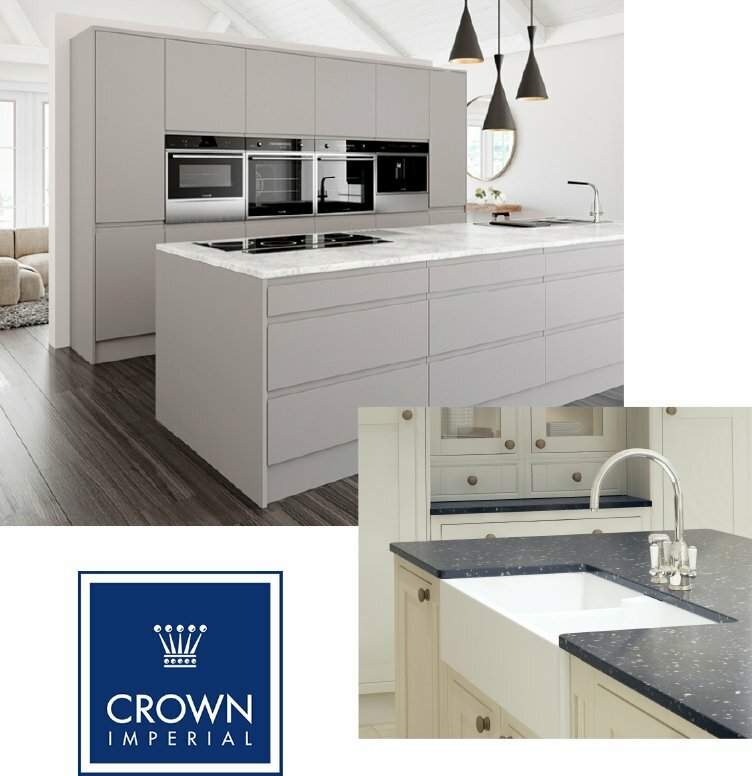 Crown accommodates not only your kitchen style but, your lifestyle too – with new curved doors for a more stylish and streamlined kitchen to traditional style homely kitchens.